I keep encountering moments with friends and colleagues when someone is struck suddenly with a very unhappy tummy, and is in need of quick digestive aid, for a little help when — oops! someone ate wheat bread and shouldn’t have, to help with gas troubles, some weird food combination that left a tummy churning, you name it. The digestive system is of course extremely important to our overall health and well-being, and when there is imbalance, one can even develop depression or anxiety troubles. But right now I am just going to address a group of herbs called carminatives. Essentially, a carminative is an herb that helps expel gas. So using a carminative is more of an acute treatment, though it can be part a long-term strategy to help with chronic digestive woes of any kind. 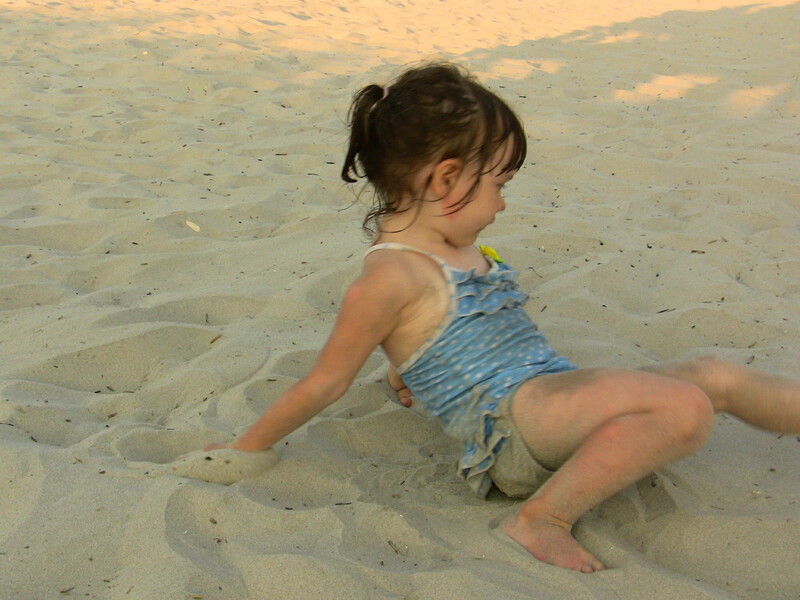 Maybe that sounds icky, the thought that – gasp – your body might in fact have moments when gas is produced, but let’s face it, we all have “moments” and certainly our children too. At those times, carminatives can be of great assistance, and should always be in your herbal arsenal. I will list some wonderful carminatives to have on hand in the space below, but I also want to point out two ready-made tinctures (alcohol or glycerite extracts) that are fabulous for kids and/or adults. 1. 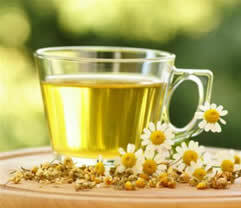 Chamomile. Yes! it’s also a nervine, and therefore great for calming your nervous system, but this delicate apple-spiced tisane (water infusion) has a time-honored tradition of soothing the digestive system. 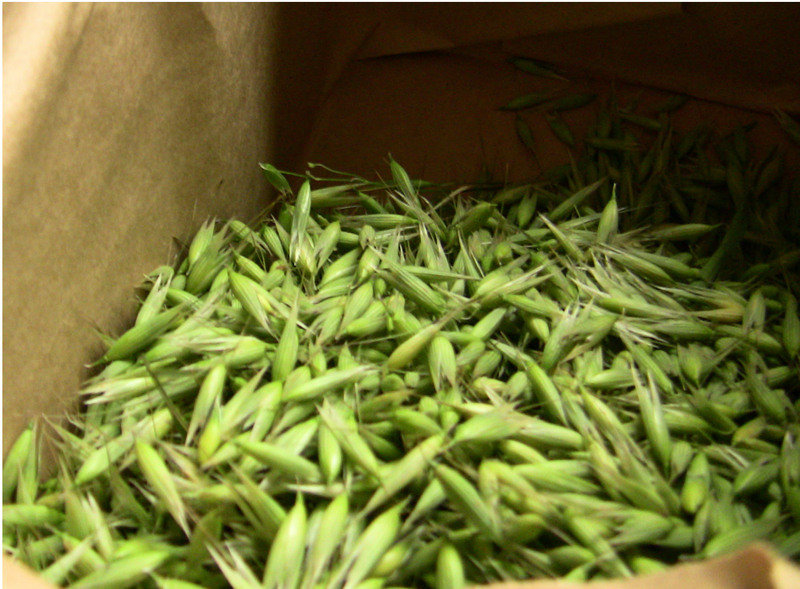 It is especially frequently used for children with its mild, sweet taste, gentle action, and comforting aroma. Chamomile is easily incorporated into a regular routine for adults and children alike and one can include other tasty nervine-carminatives to this blend such as lavender. 2. Lemon Balm. 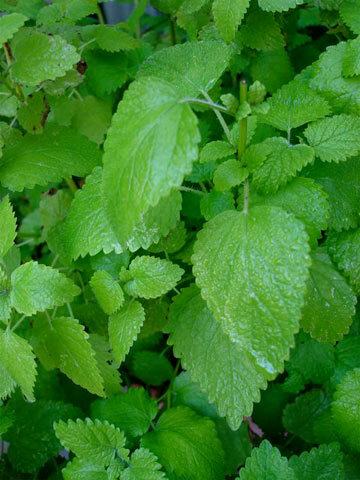 Like many other mints, lemon balm contains a high quantity of volatile oils that work to ease digestive woes. Lemon Balm, with its bright, lemony fragrance, also helps lift the spirits, so if Seasonal Affective Disorder AND tummy complaints are your bane, this is a great herb for you. It is worth noting that fresh lemon balm works best for the nervous system support but dried will help with digestive woes just as well as the fresh herb. 3. Fennel. 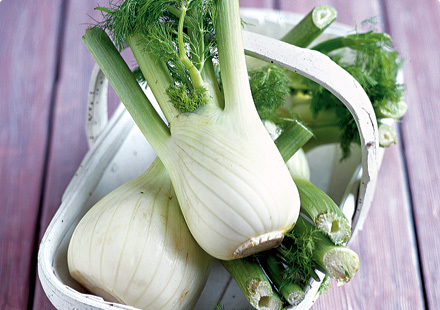 Known for its mild anise or licorice flavor, all parts of the fennel plant are edible and provide digestive relief. I often keep the seeds on hand with this purpose in mind, and as it is also a great galactagogue (helps promote milk flow in breast feeding women), this is a wonderful herb of choice for women who are pregnant, post-partum, or nursing and experiencing both tummy trouble and the desire to support their milk flow. IT also soothes colic (because of the digestive connection) and so it is great to impart to baby via breast milk or as a water-infusion via spoon or eye dropper. 4. Cinnamon / Cassia. Usually what we think of as cinnamon is actually cassia, a close cousin. 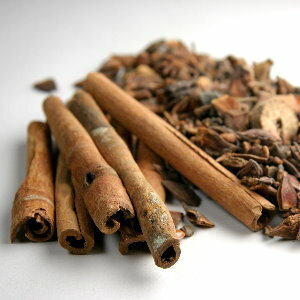 True cinnamon is sweeter than cassia, which can have a notably hot taste. The volatile oils are what usually give carminatives their power and both cinnamon and cassia have them in spades, so both are useful for digestion. Cinnamon & cassia are also energetically warming and can work as a ‘catalyst’ to enable other herbs to work better, and to stimulate digestion when food choices have been energetically damp or someone is convalescing. It is worth noting that cinnamon has also shown quite a bit of promise for people with diabetes, as it appears to stimulate insulin activity, helping the body to process sugar more efficiently. 5. Peppermint. I can’t neglect the power of menthol, the source of peppermint’s unmistakeable flavor. 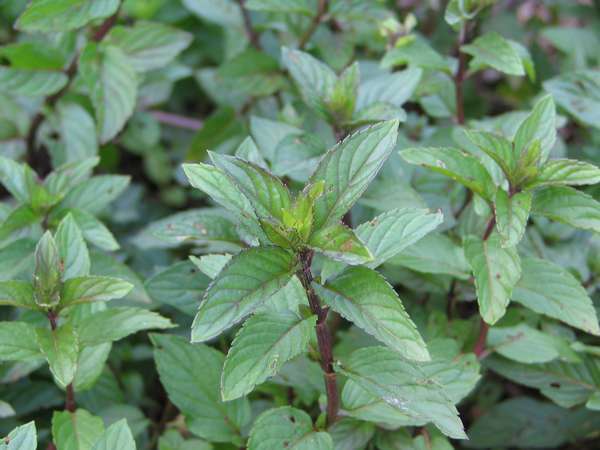 Spearmint is a milder mint that can be used almost interchangeably with peppermint, but if you source good quality dried peppermint, you will be astounded by how intense the flavor is. Mint is very easy to grow and root. I actually picked some from my garden this January, as there was still some (amazingly!) hanging on, and rooted it in my kitchen where it is now happily growing in a sunny window. Peppermint is stimulating and can perk up the mind and the senses, making this a good herb to use to start your day, get your brain in gear, and forge on to new adventures. Naturally I have many other carminative loves, but for now, I’ll just leave you with those top choices. I would also be remiss in not pointing out Herbalist & Alchemist’s Kid’s Tummy Relief, an absolutely wonderful glycerite formula that tastes delicious and can really help out a kid’s tummy in a pinch. Okay, I keep some in strategic places for myself too, but grown-ups deserve tasty too, right? Another must? Ginger extract (alcohol): I always always always keep a bottle of this in my office, my car, and my home, as it is essentially herbal first aid for myriad complaints. Feel free to share some of your carminative loves and natural digestive aids! I have long wanted to include some ‘practical’ instruction in my blog for the all important preparations that all herbalists and family healers use on a regular basis. 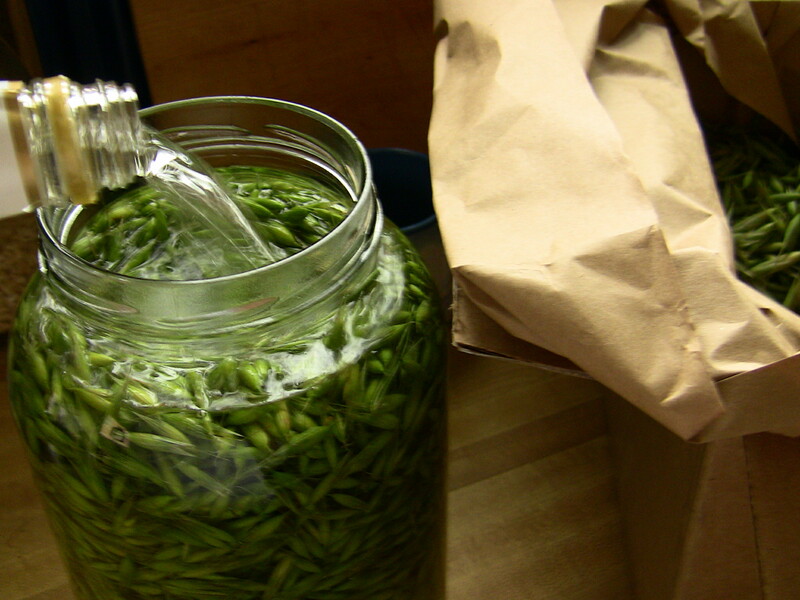 This post will be devoted to a simple alcohol extract of a botanical, called a “tincture”. The extracting can actually be done with cider vinegar or glycerin, alternatively, though alcohol does work best. It is important to note that some herbs are better taken as infusions or decoctions, particularly if the vitamin content is what one is after (i.e. nettles). It is also important to note that some herbs are absolutely best taken as a *fresh* herb tincture rather than a *dried* herb tincture. 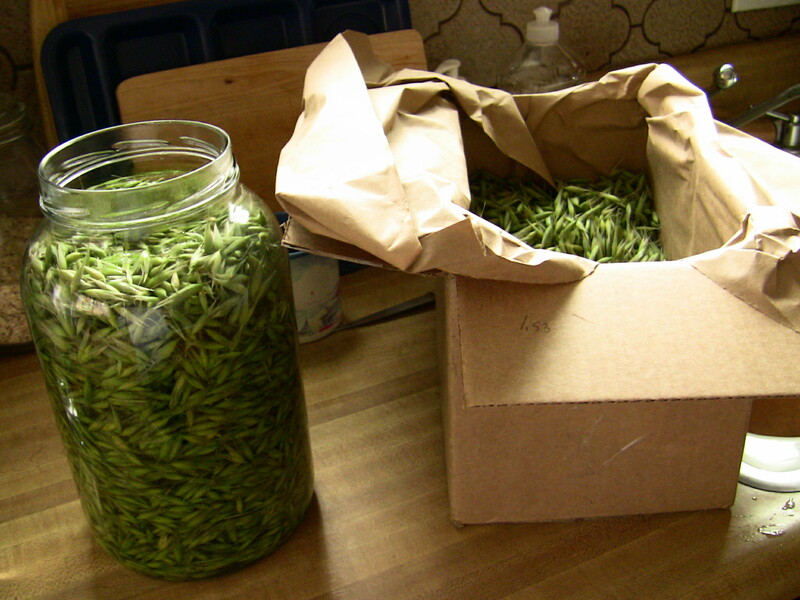 This post is for making tinctures from *fresh* herbs. Some examples of herbs that should be tinctured fresh are turmeric rhizome, ginger rhizome, St. John’s wort, Milky oat tops, and skullcap. Other herbs I prefer to tincture fresh are motherwort and tulsi. Organize the necessary container for tincturing. It should be big enough to hold all the herb you would like to tincture. There should not be a lot of excess room in the jar, however. Put the herbs in a glass jar. I have a gallon sized glass jar here and I’m using fresh oat tops in the milky stage, shipped to me from Pacific Botanicals organic farm in Oregon. After the herbs are in the jar, pour 95% (190 proof) grain alcohol over the fresh herbs. The percentage of alcohol you use is probably the most important part of tincturing aside from the quality of the herbs used. The percentage of alcohol for fresh herbs shouldn’t dip below 50% or the tincture will probably spoil. Because fresh herbs contain a lot of water already, you can assume that just by using fresh herb, you’ll be diluting the % of alcohol in the preparation. So, if you use (40%) 80 proof vodka, for instance, you may end up with a tincture that is only 20% alcohol, and that tincture would certainly spoil. Many herbalists use 100 proof (50%) vodka and have success, even with fresh herbs. I prefer to use a higher proof for fresh. Using 100 proof (50%) vodka for *dried* herbs is certainly okay, though more complicated formulas are used by professional herbalists. Keep in mind that some herbs require glycerin at about 10%, including milk thistle seed. So, you pour the alcohol over the herbs and fill the jar to the top. Leave about 1/2 – 1 inch between the alcohol and the rim of the jar. Try to make sure all of the herbs are under the liquid. Use a chopstick or spoon to press the herb down and stir in order to release any air bubbles that may be trapped in the jar. Cap the jar. I often like to put a piece of wax paper between the rim and lid so that the lid doesn’t ‘stick’ to the jar. It’s not that this is really a problem, because you can run it under hot water, but it just makes it easier. Label the jar with the herb, date, and percentage of alcohol. Store in a cool/dark place and allow to do its tincturing magic for 4 – 6 weeks. You can really leave it for longer if you don’t get to it in that time frame. I have left herbs in 180 proof alcohol for a *year* and it doesn’t go bad because of the high alcohol content. Sometimes I do up to 3 gallons at a time, so I don’t always decant everything right away! When you decant, strain the herbs out and compost them after squeezing the alcohol out of them. You can wring out the herbs with a thin, clean dishcloth or cheesecloth. There are also professional herb presses that are available for just this purpose. The herbs will often become quite dessicated, actually, so sometimes it is incredibly easy to extract as much alcohol as you are going to! Be sure to label your decanted tinctures with the Date and the Herb, as well as the alcohol used. Keep in mind that the % of alcohol is no longer 95%!!! Though it’s not easy to exactly determine, it’s probably closer to 50%, depending on the herb used. Gladstar, Rosemary, Herbal Healing for Women, 1993. Weed, Susun, Healing Wise, 1989. Hoffman, David, Medical Herbalism, 2003. Tilgner, Sharol, Herbal Medicine, 1999. Good luck with your first tincture. Feel free to comment below if you have questions! My tinctures can be found on my Etsy site. I currently study herbal medicine under the tutelage of Michael and Leslie Tierra and their East West School of Planetary Herbology. My focus in much of my work in herbal medicine has been maternal and child health, which you may note from many of my posts. One of the things I love about the world of herbal medicine is that the masters — our masters in this current time — are always intersecting in one way or another. The most respected herbalists of the United States are usually connected to the American Herbalists Guild (AHG), the closest thing to a regulating body that we have. It’s not easy to get AHG after your name, either! I was looking through Naturally Healthy Babies and Children, a great resource by Dr. Aviva Jill Romm, mostly in thoughts of preparing for a course I have been dreaming about since last spring — and nodded to in a earlier post — and I came across this wonderful formula for a “Calm Child Formula“. Aviva Romm writes about it. Michael Tierra came up with it. And probably hundreds of children have been happily subjected to its calming effects. How wonderful to have a formula sanctioned by our modern masters and certainly born of a long herbal tradition of empirical evidence and experience. The formula is a nervine, which means it has a calming effect on the nervous system, and digestive calmer, helping to bring a sense of tranquility to a child, even during times of sickness. It can be used as a tonic for active children or even during long car trips. Tierra’s company, Planetary Herbs, sells it in their formulas, or you can prepare it at home as a water-infusion or a syrup. (Ref: Romm 2003) The recipe below is for a syrup. An alternative way to make a syrup would be to use all the same herbs and to prepare it as I describe in this post for the Herb Companion last year. To Prepare: Combine all ingredients in a dark amber jar. To Use: Dosage is 1/2 to 1 tsp as needed. Shake well before using. I’m a lucky gal – in my ‘real job’, I am about to take on a new research assistant, and lo and behold, she’s a top class bartender by night! We got to discussing the special world of mixology and she mentioned a local bar known for their use of herbal tinctures and infusions in fine vodkas and other drinkable liquors. What a great idea! I did make a wee visit to said establishment and had to chuckle when I saw a mention of an herbal ‘liniment’ on their drink list (a liniment is used topically for various conditions, rather than internally as a medicinal extract). That said, my local mixologists are not the only herbal cocktails gaining attention. Savvy bartenders nationwide are experimenting in the herb garden for new, unusual, and often delightful new cocktails. Happily, we don’t have to depend on fancy bars for fun herbally-infused beverages. We can all have herbal mixology fun in our own kitchens. 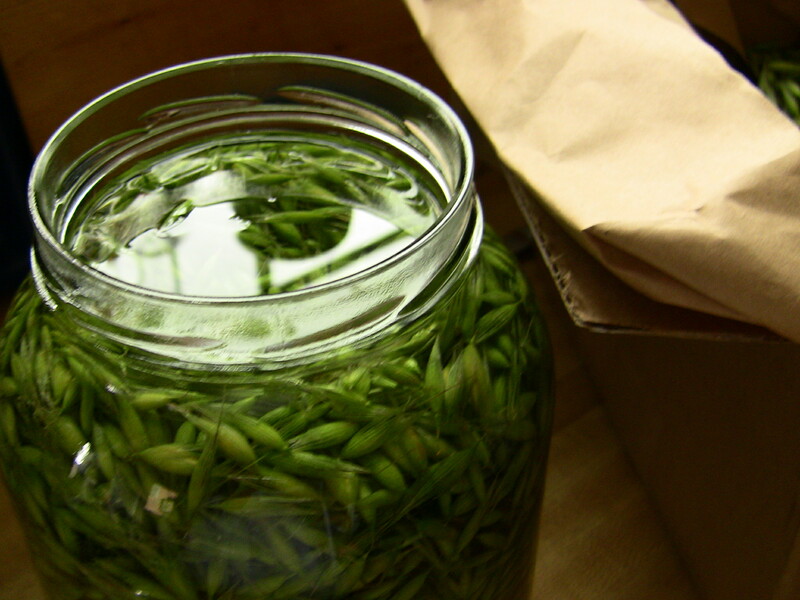 Much like making a simple herbal vinegar, herbally-infused alcohol is a simple process. Step 1: Choose your beverage and the desired herbs. Vodka is a good choice because it has clean, smooth finish that allows the herb to shine through. Gin provides an interesting dimension, and brandy, the choice of many herbalists, is an often-used vehicle for medicinal herbs. Aromatic, flavorful herbs are the best to begin your experiments: ginger root, dill, basil, cardamom, lavender, rosemary, bay leaf, and elderberries would all be fun choices. Use only one herb per infusion so that you don’t muddle the flavor and so you are able to experiment with each new flavor independently. Step 2: Wash your herbs and pat dry to remove excess water. Roughly chop the herbs and place in clean, glass container. Pour alcohol over herbs and allow to steep in a cool, dark place for 1-4 weeks. Strain the herbs out and replace with a fresh sprig for a nice visual effect, especially if giving as a gift. 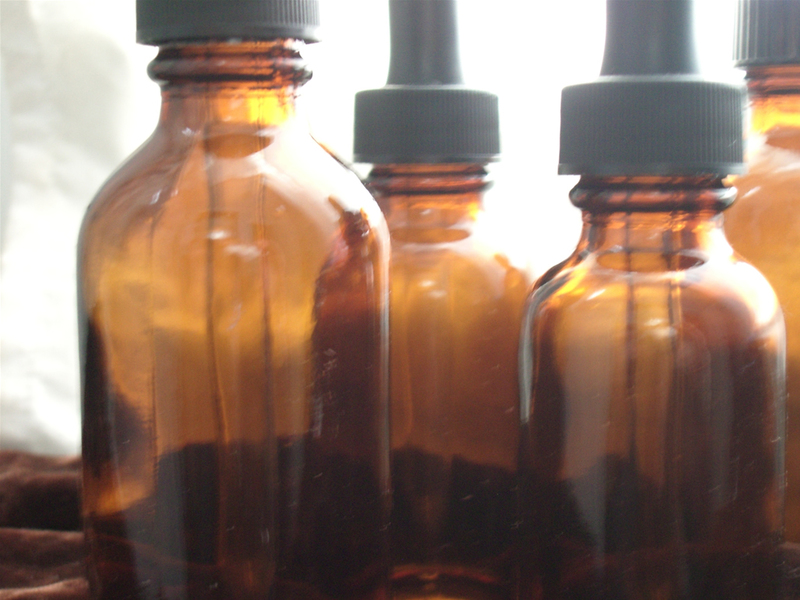 A container with a rubber, sealed top is a great choice for storing your new herbal extract. Step 3: Experiment away! Try adding the froth of whipped egg white, a hint of berry or ginger juice for an extra splash of flavor and color, or a touch of citrus for a lovely fresh finish. There are plenty of drink recipes out there in culinary land to get your started. Just be sure that in whatever herbal coctail you concoct, you allow the qualities of your chosen herbs to shine through and make themselves (and all their loveliness) known! I decided to post my fresh organic herbal extracts/tinctures of both Scullcap (sculletaria lateralist) and St. John’s Wort (hypericum perforatum) on my etsy site. These are such great quality extracts made with fresh, organic herbs from Pacfic Botanicals in Oregon. I have a nice fat disclaimer there because I have to. It’s a shame, really, but the main thing is that I want to make these kinds of quality, home-crafted tinctures available to my customers.